Ingredients: sugar, cocoa butter, whole milk powder, emulsifier: soy lecithin, natural vanilla. Added ingredients: crystalline sugar from beet, egg albumin, wheat starch, grated lemon peel, water, acidulant (E330), preservatives (E202), colouring agent (E160a). (cocoa solids 28% min; milk solids 25% min). Allergy information: Contains milk, gluten, egg & soy. May also contain traces of nuts as these products are handled in our factory. Suitable for vegetarians. 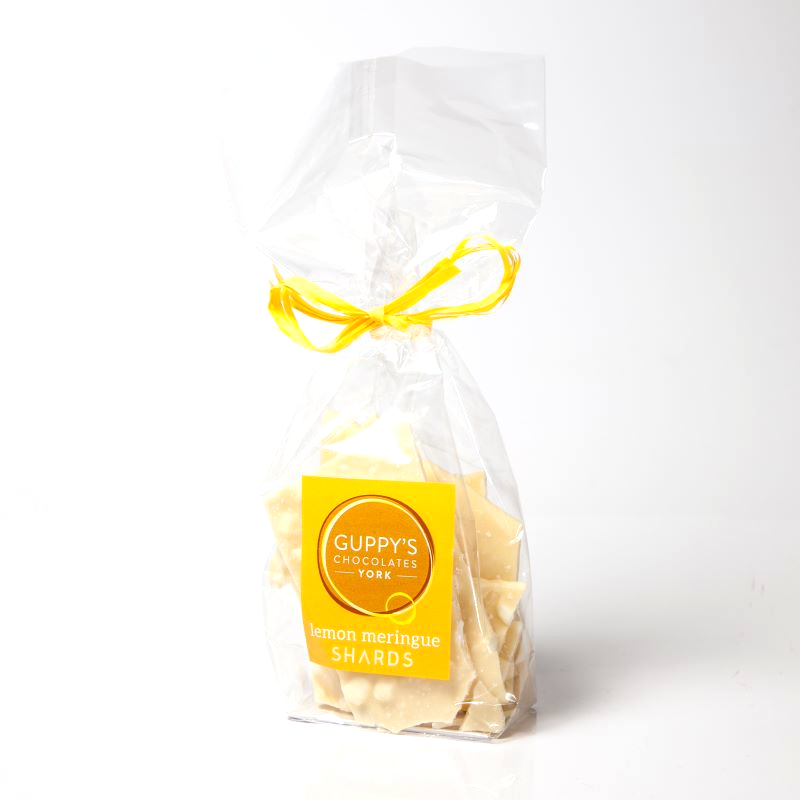 Meringue was pefected in the 17th century and our lemon meringue shards are meant to be reminiscent of lemon meringue pie and are made with tangy lemon peel and crispy meringue pieces.